Home / Uncategorized / The Bat-Speed Blue Print is almost ready! 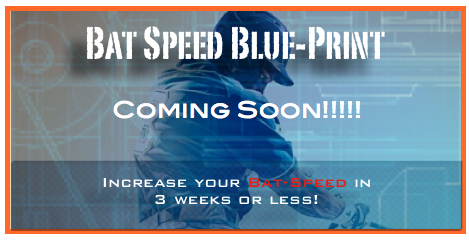 The Bat-Speed Blue Print is almost ready! Alright everyone! So a lot of you have been sending in your questions about what steps you can take to cut down on strike-outs, drive the ball to all fields with power and consistency, and finally position yourself as a player who has the potential to play at the next level. Ok……some of you have just been asking for advice about increasing bat speed but what I’m about to show you will do just that as well as all of the above! and most importantly has the confidence to be the type of player that has the CONFIDENCE to compete on a daily basis. The truth is I don’t wan’t to give to much away until the launch date so make sure you stay tuned during the rest of the week!